Shara Nova is a classically trained vocalist and multi-instrumentalist who formed the group My Brightest Diamond. The group released a new music video for “It’s Me On The Dance Floor” a song from the new album, A Million and One. This song definitely makes you want to get up and move with its instrumental beat and Nova’s vocal range piercing you in the background. Her style is about blending elements of rock, art pop, and chamber music into a sound totally her own. Nova always knew she wanted to be a musician. She grew up in a family of traveling evangelicals and together they crisscrossed the country with her father leading church choirs and her mother playing organ. She lived in Detroit as a teenager in the early ‘90s, when hip-hop and soul were on the airwaves. She listened to Run DMC, Stevie Wonder, Anita Baker to K C & the Sunshine Band. After studying opera, she moved to New York City and formed My Brightest Diamond in 2006, releasing her critically acclaimed debut album, Bring Me The Workhorse. Her most recent album, A Million And One sprung from a period of personal transformation. It comes just four years after her marriage came to an end. 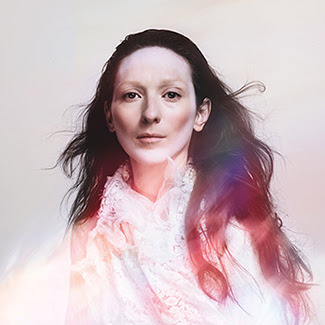 My Brightest Diamond has six albums in total including, A Million and One, Champagne EP, This is My Hand, All Things Will Unwind, A Thousand Shark’s Teeth and Bring Me The Workhorse. My Brightest Diamond will be joining Noise Pop Festival, the beloved San Francisco Bay Area’s indie music festival this coming February 25 to March 3. The 2018 festival has hosted more than 180+ music artists across more than 25 Bay Area venues with events including concerts, film screenings, art shows and more.